Providing care to people who are suffering from untreated disease, strengthening and expanding all people’s saftey net by advocating for dental Medicaid, improvements and encouraging more private dentists to work with public health centers and bringing health education and disease prevention into communities. It may seem trite, but smiles are important for success. If you approach another person with a smile on your face you are immediately seen as more trustworthy and open than someone who is scowling. It’s no small difference either; people who are known as being happy and receptive to others tend to get promoted faster than people who are seen as dour. According to communication specialists at the Ohio State University, almost all of our daily communication is nonverbal. That means that the act of appearing open and friendly does a lot more for the way others receive you than the words that you use. Keeping your smile white, therefore, is important. Below are some simple daily things that you can do to keep your smile healthy between visits to your dentist. Every time you go to the dentist, if you’re anything like most people, the dentist tells you to floss more. Most people in the United States simply don’t take the time to floss regularly, let alone after every meal. The proper technique for flossing is also rarely followed. Simply flossing in an up and down motion is not going to remove small particles from your teeth. 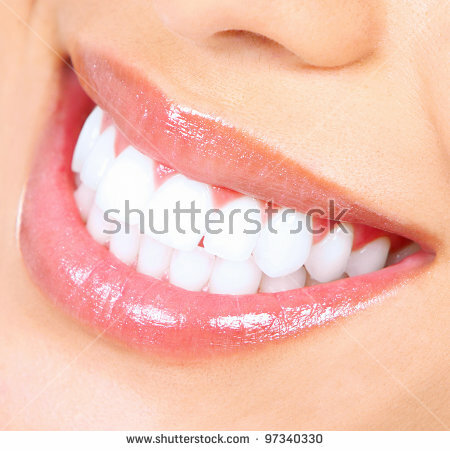 The American Dental Association lists the proper technique as getting a longish string of floss and forming it around the sides of your teeth in a “U” shape. Then slowly work the floss back and forth while sliding it down just under your gum line. Don’t forget to get your very back teeth; many people do not floss their molars. You don’t always have the chance to brush after every meal, but it is important to brush your teeth at least twice a day. Most people brush in the morning and before bed, though dentists would prefer if we managed to brush in the afternoon as well. When you are brushing your teeth make sure to relax your jaw slightly, do not open your mouth all the way. Opening your mouth all the way will pull your lips forward and make it more difficult to access the backs of your molars properly. This is especially important in people with small mouths. If you can’t brush in the afternoon, try to remember to at least floss or throw a stick of sugar free gum into your bag or wallet. This way at least you will knock off some of the particles of food before you have a chance to brush. Water is important for your health, but you knew that already. 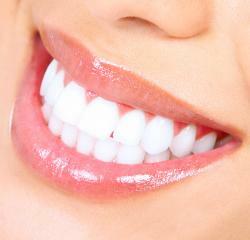 What you may not know is that not only is water good for your skin, it’s good for your gums. Dry mouths tend to create and hold a lot bacteria that will eventually smell bad. Also, if you do not hydrate enough, your lips will become dry and cracked. You can also visit Coos bay dentistry north bend for better health tips. This uncomfortable feeling can aid the appearance of cold sores and thus make you uncomfortable. Discomfort makes it difficult for anyone to smile and put their best foot forward. Try to drink at least two glasses of water a day to keep yourself hydrated and your mouth happy.